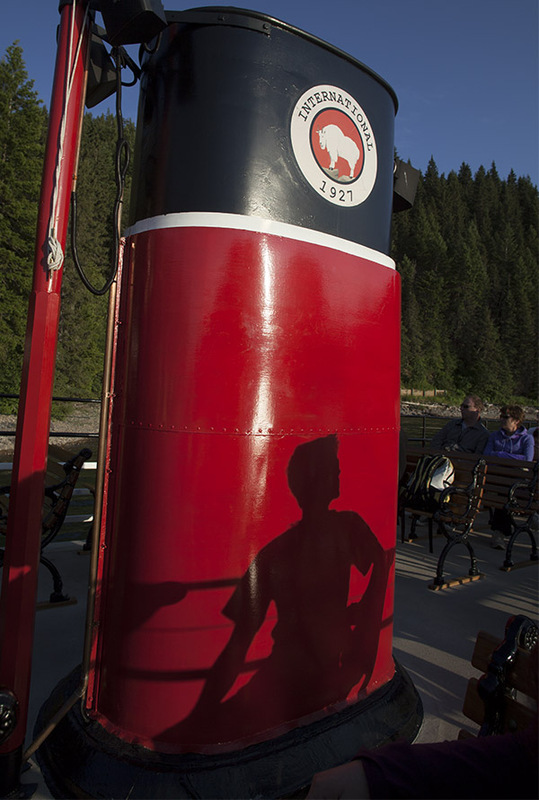 During a recent camping trip to Waterton National Park, the quiet jewell of Alberta’s mountain parks, we took an evening cruise on the MV International, the commercial tour boat that plies the waters of Waterton Lake. On board, a teenager busied himself with a point-and-shoot camera, capturing warm-hued mountain scenes as the sun neared the horizon. He worked the situation, moving quickly from the bow of the boat to the stern and back again, obviously enjoying making pictures. He reminded me of me, forty years ago. I wondered if he would choose the photographer’s path, which so many choose these days, or would this interest in photography be a passing fancy? More importantly, would photography choose him, which happens to only a select few? I wondered if he’d break free from his small-town roots, and with camera in hand discover the larger world? Will he have adventures, exploring and photographing those things that interest and excite him? What I knew was that he’d not likely learn the smell of darkroom chemicals, nor have that magical experience as the ghostly image of a black and white print appears slowly under the glow of an orange safelight, when exposed enlarging paper is bathed in developer. What I hope, is that he’ll learn to see light, see texture, see colour. Learn to feel the power of landscape and learn to capture the joys and sorrows of the human experience. As we approached the south end of the lake near Goat Haunt he sat down and the setting sun cast his shadow on the ship’s stack. I made two frames. I saw that moment, that light. I hope he learns to see too. I hope he keeps making pictures. Thanks, Grant. That’s the way I feel sometimes, watching youngsters with cameras. No, there won’t be any darkroom magic for this generation, but the ability to make as many frames as you wish and make corrections in real time should help to hold interest as well. best, jcp Oh, PS: just got clearance from the doctor for the western trip. We’re pretty happy. Take care, and best for your trip East.